Women with chronic illnesses: how long & how many doctors did it take you to get diagnosed? 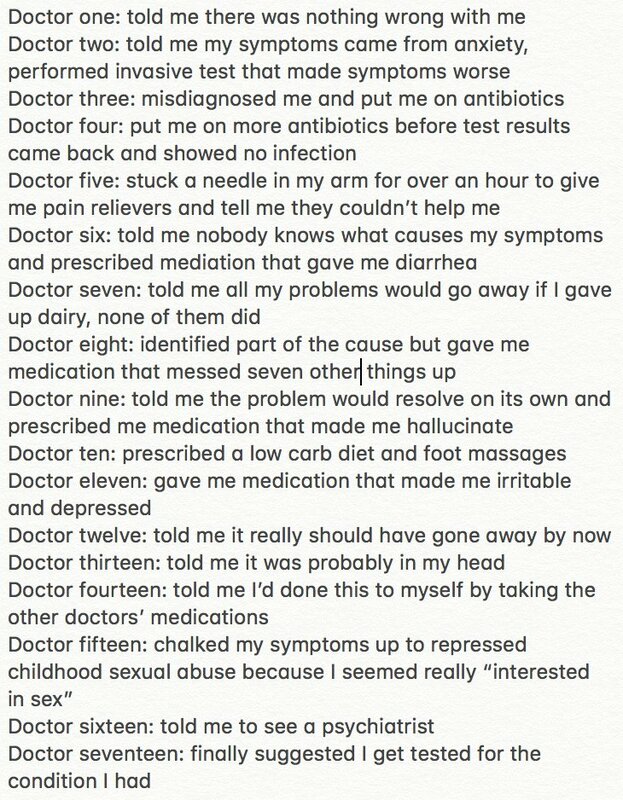 I counted 11 months & 17 doctors & wrote down what each did to show what we go through just to begin to heal. Side note: the first person to accurately diagnose me was a psychic 😂 Second was my acupuncturist. [Thread] Women, PoC, NB folks, & LGBTQ people w/ chronic illnesses are criticized for self-diagnosing, but the reason we self-diagnose is that those charged with diagnosing us are biased against us & don't understand issues that disproportionately affect us.